Latest Research: When are the busiest month's for Recruitment Activity? 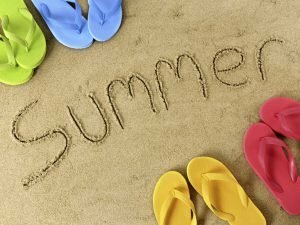 I’ve been working in recruitment for over 14 years and in all that time, I’ve always assumed four job seeker trends; the summer’s are quiet, late autumn/ fall is busy, December is a right-off and January is booming. As a consequence I always took a couple of weeks off over Christmas and vacationed in August. Last week I had the priviledge of attending a day-long event at Google’s EMEA headquarters in Google Docks (love that name), Dublin. Of the many products that were covered and discussed last week, I was reminded of the power of Google Trends, a product I often overlook when researching patterns in the employment market. A quick dive into the free tool allowed me to analyse global search volumes for the keywords Job, Jobs, Career and Careers over the last 5 years. The patterns that emerged seemed to closely correlate with my gut assumptions but also represented annual peaks and troughs that were perhaps more related to the global economic blahdy blah. To my surprise, a quick mapping of the data points graphed against each other for each month of the last 5 years revealed that half of my assumptions were completely wrong (see below). The volume of job searches rises gradually from April onwards, peaking in September. Beginning in October, the volume of searches almost falls off a cliff as we head towards the end of December where volumes hit a record low that is almost 30% below the January peak and 20% below the monthly average. So it turns out that December is indeed the quietest month of the year and January the busiest month but the idea that the summer is quiet is a myth. Job seekers actually increase their search efforts over the summer and the busy period of September – November is in fact the opposite. It starts at a peak and quickly trails off as we go into October and November. I don’t think I am alone in my original assumptions, so how do we explain the difference? The logic I have always followed is that decision makers in hiring firms are usually on vacation between June and September, hence hiring processes slow to an almost halt. 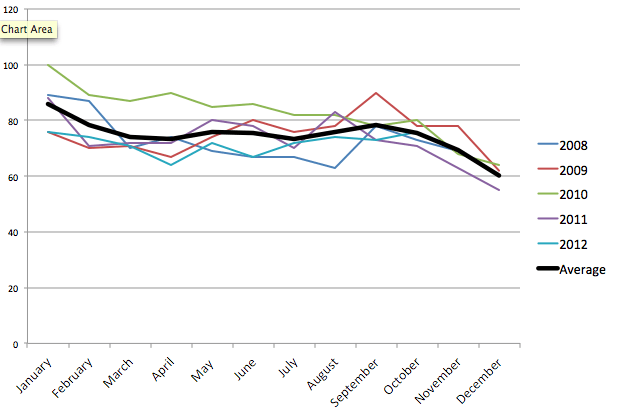 The “business” of September is probably the result of the recruitment industry playing catch-up after an idle summer. Job seekers want to talk to us over the summer months, they are seeking out our jobs and signalling their interest but we’re lying on a beach waiting for September to start hiring again. How can you take advantage of this data? If you’re looking to attract hard to find candidates, ensure that your hiring team are at 100% during the busy periods (January – March and May to October). Whilst your competitors are taking their vacation during the summer months, you can tap into that increased demand from job-seekers and hire people from under the competition’s nose. Plan your employer branding and hiring campaigns in November and December, when it’s probably a little quieter, to ensure that you hit the ground running in January when job seekers go looking for new jobs in ernest. Any previous campaigns that you had previously planned to kick off in September (with the exception perhaps of graduate recruitment) should actually be ckicked off in May or June. Your audience is much bigger and the competition for attention is less. It is also very interesting to note 2012’s trends. The volume of job searches in the last 4 months (July to date) is almost exactly the same as the first 3 months of the year (January to March inclusive). This month (October 2012) is predicted to be as busy a month for job seekers as January was. It’s important to always keep on top of the data as past trends are not necessarily a predictor of the future (as Wall Street analyst found to their dismay back in 2008!). Following on from yesterday’s blog post that highlighted Seth Godin’s sage advice that it is no longer acceptable “not to know”, I recommend that you check out Google Trends and better understand your market to see what job seekers are really up to. You can narrow the data down to specific countries and bi-weekly periods. Google Adwords is another fantastic tool for researching search terms that job seekers are using in each market to find the jobs you are advertising. For more on how to optimise your online marketing efforts to be found by the half a billion unique searches for job, jobs, career and careers that are conducted every month, check out this post on Recruitment SEO from a few months ago. What other data can you see in the stats here? Content marketing has been the stand out trend of 2013, and one which more recruiters should be jumping on.